Figure 1. 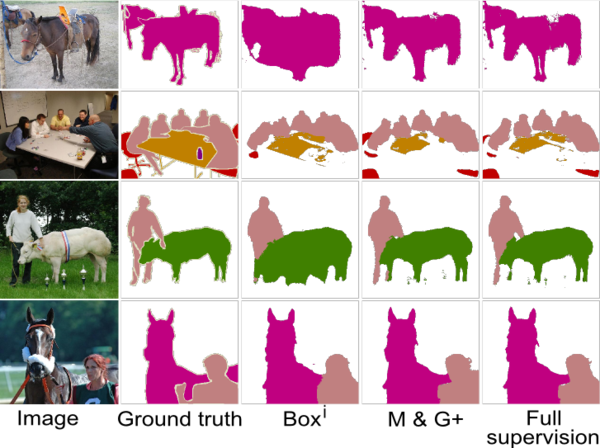 Example results of using only rectangle segments and recursive training (using convnet predictions as supervision for the next round). Our M&G+ is able to improve over previously reported results and reach 95% of the full supervison quality. 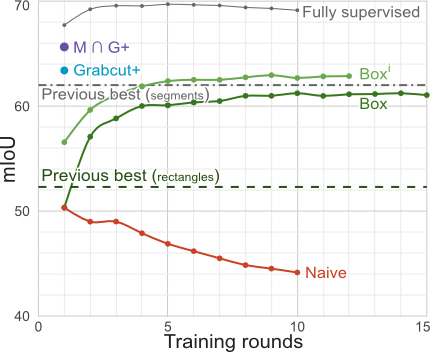 Visually, the results from our weakly supervised method M&G+ are hardly distinguishable from the fully supervised ones. 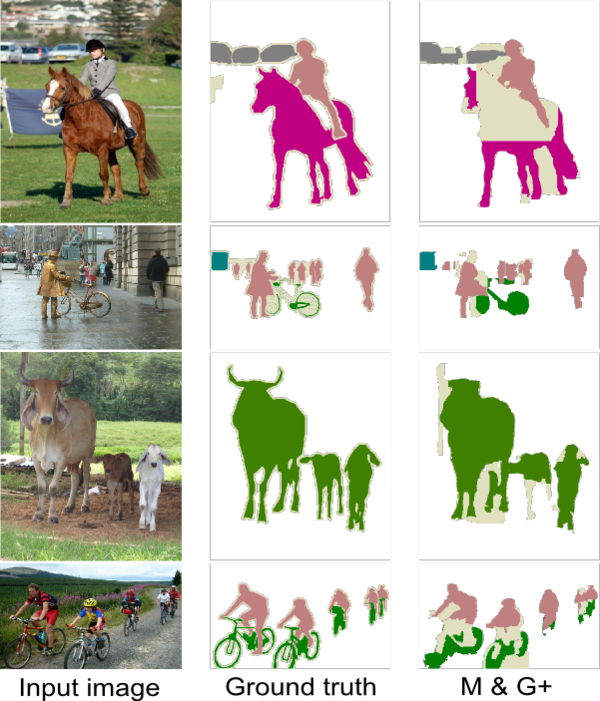 [Khoreva et al., 2017] Simple Does It: Weakly Supervised Instance and Semantic Segmentation, A. Khoreva, R. Benenson, J. Hosang, M. Hein and B. Schiele, CVPR, 2017.